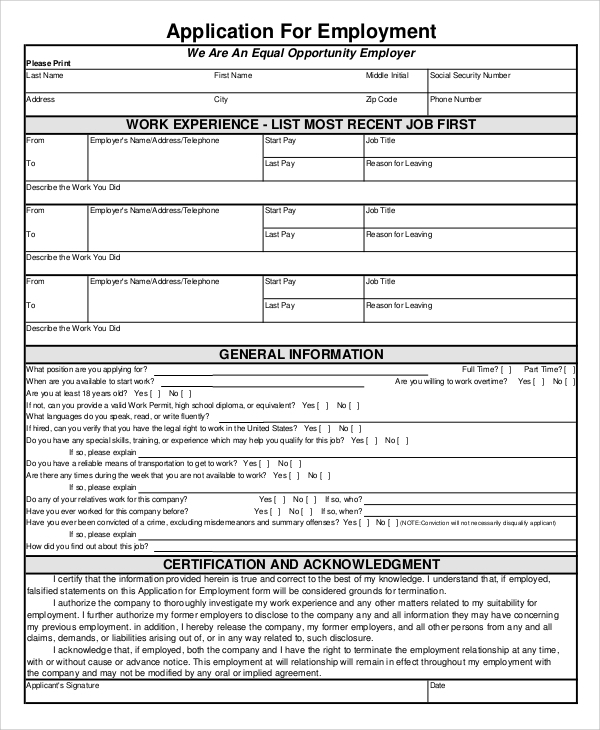 An employment application form is mandatory while applying for any job position. There can be particular employment form for specific posts, but mostly for most of the vacancies, companies and employers accept General Employment Application Forms from the applicants as they contain enough fields to extract all the required information from the candidates. 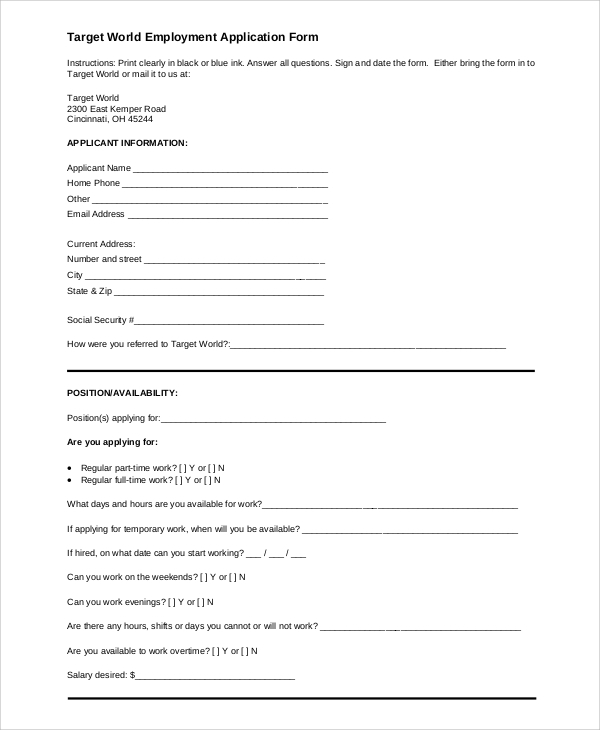 The following employment application forms have the perfect format to achieve the purpose smoothly and correctly. 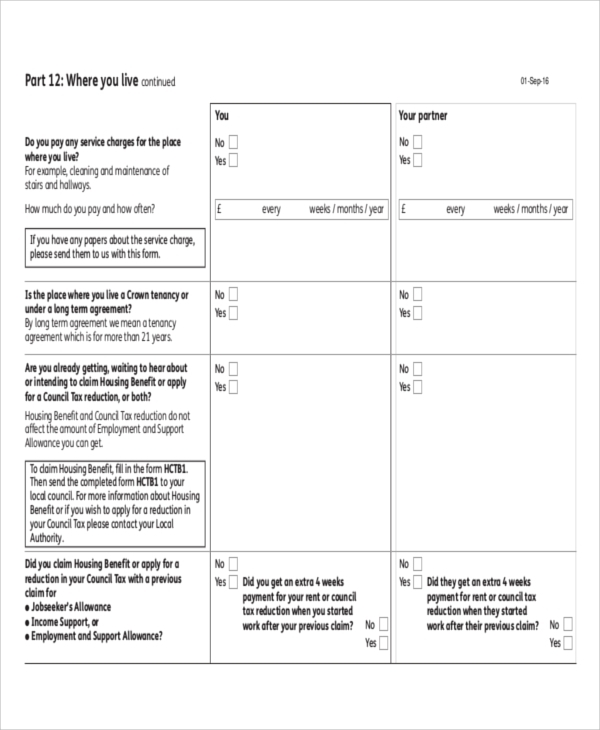 This is a printable employment application form that can be used in every company. There is a provision to write the company or the employer’s name while applying for a position. It is a 2-page form with all the required fields for personal data, past employment data, skills, education, contacts, references and so on. 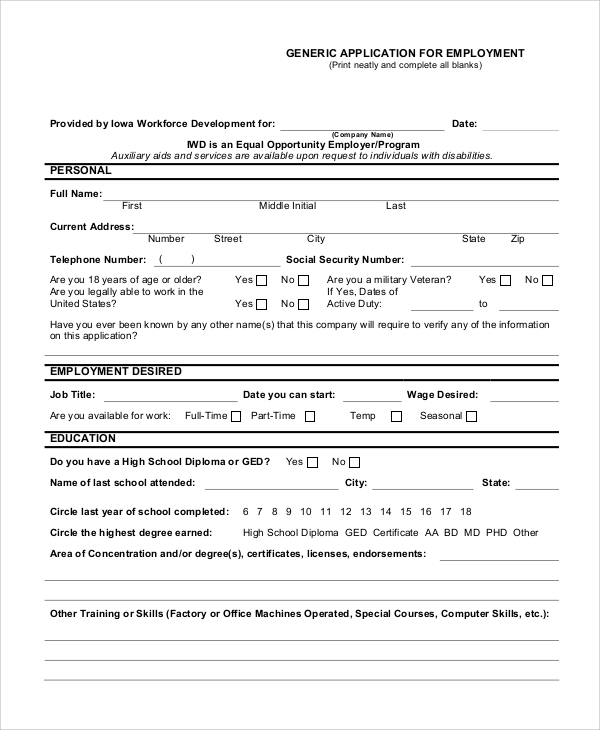 This is an entirely blank employment application form that the employers can use in different cases of employment for various general positions. It is mostly applicable for the experienced candidates, and it starts with the employment history of the candidates. 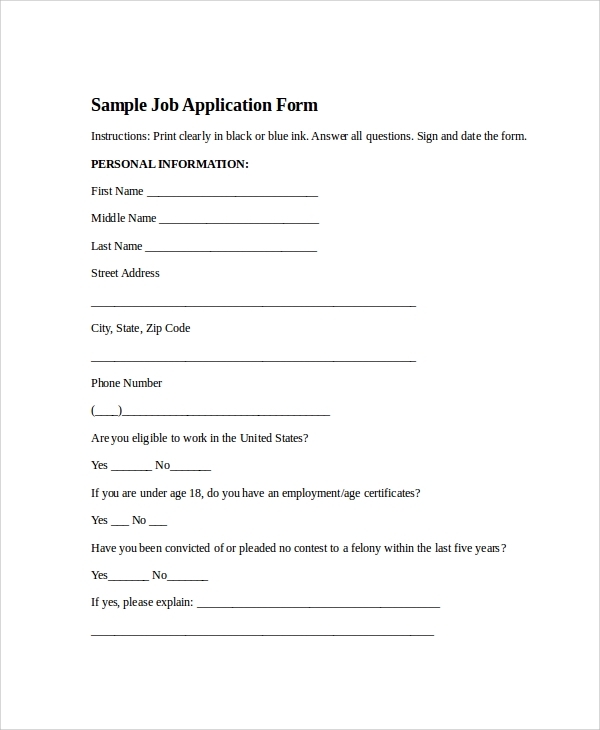 This is a complete application form useful for applying any general job post. 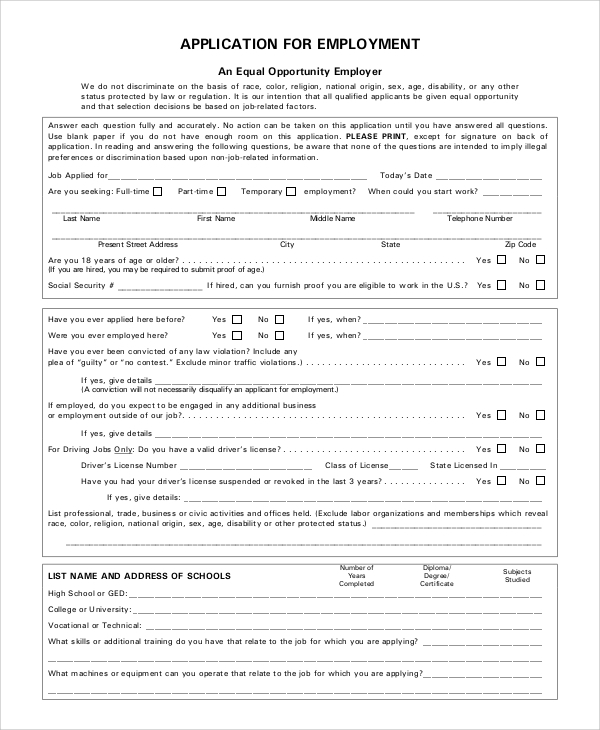 It is a 2-page form, and it has provisions for personal data, education details, employment history, other vital information that the employers require to shortlist suitable candidates. Employment and support allowance is a kind of monetary benefit that you are entitled to get if you are ill or disable to report to work. One has to file for it to claim it. The given application form is for that reason, and it contains all the details about the entire process, who can apply, the benefits, and all other necessities. This is a 4-page job application form. This can be used to apply to any company when vacant seats are advertised. It contains different fields for personal data, availability, education, employment history, previous positions, and references. 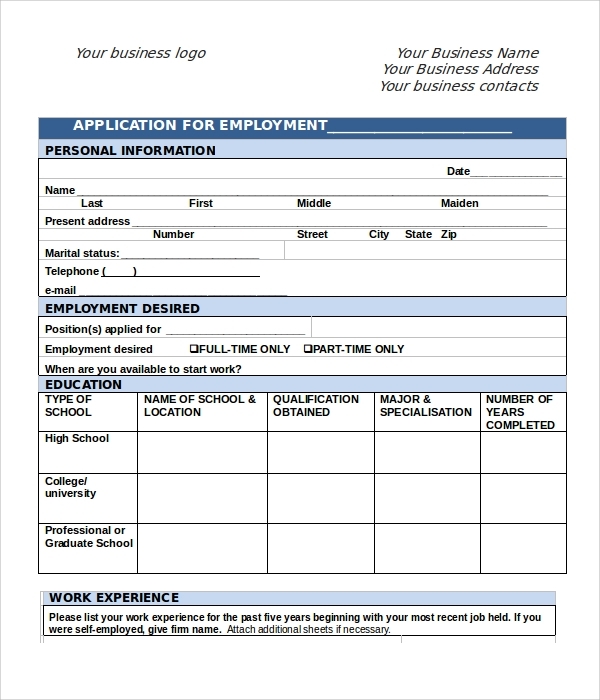 Employment application form is the traditional and formal way to apply for any vacant post. They are general application forms that candidates can buy from the market or take a printout from online and fill them up to apply for different vacant job posts available. Thus, they do not have to run after various forms to apply in different companies. Similarly, an employer or a company can modify them and prepare their application form and spread it in the market for candidates to reach them quickly. The targeted audiences for these employment application forms are the candidates, both the freshers as well as the experienced ones who are looking to explore new opportunities and want to apply for jobs. These forms will take away the burden of finding different forms for different companies. They are also targeted for the employers and the companies to prepare their set of application forms around the provided templates. 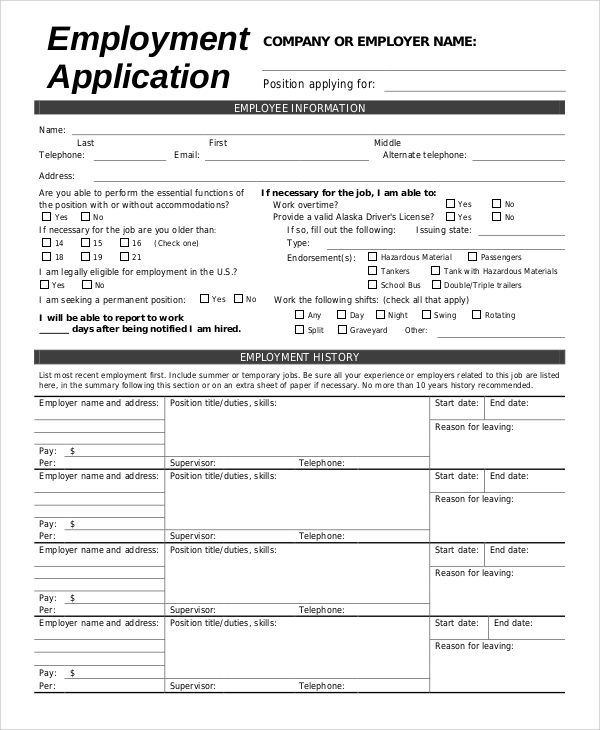 The above-listed Application Forms are just templates that both the employers and the candidates can use. The employers can modify them according to their needs and spread it across the market. Candidates can use the general employment application forms to apply for different companies in different posts as advertised. Thus, the process is going to be uniform, less hectic for the employers and the candidates and the prime focus can be on employment without any headache of other stuff.